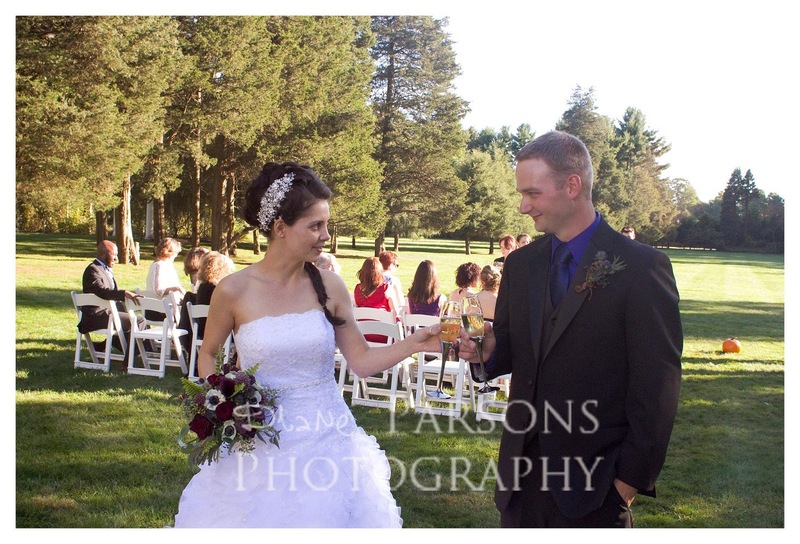 Wadsworth Mansion Blog: Why September? Weather: Ahhh...New England in September....Warm September days and crisper evenings are the reason folks from all over the country flock to New England in September. Here in Connecticut it is still warm enough to enjoy the beach, but cool enough to enjoy long walks in the woods. 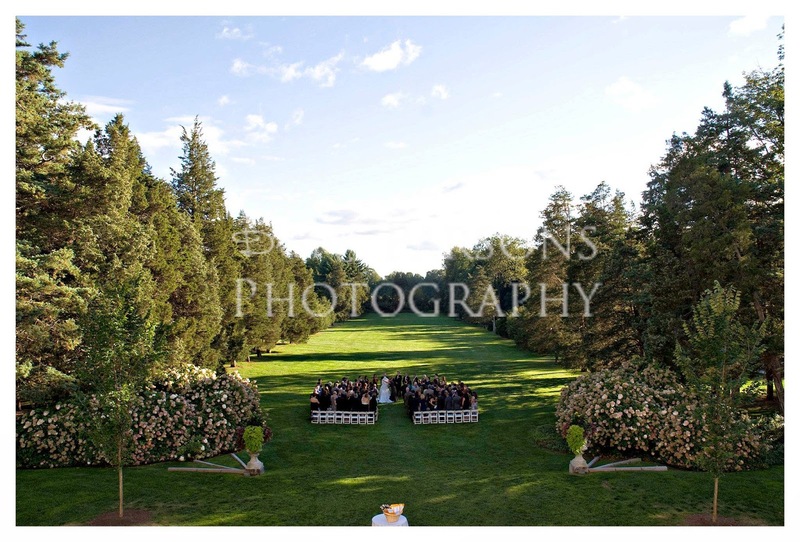 Weddings at the Mansion are a perfect blend of the best that Summer and Fall have to offer. Sid and Jason enjoyed a perfect weather for their Sunday afternoon ceremony. 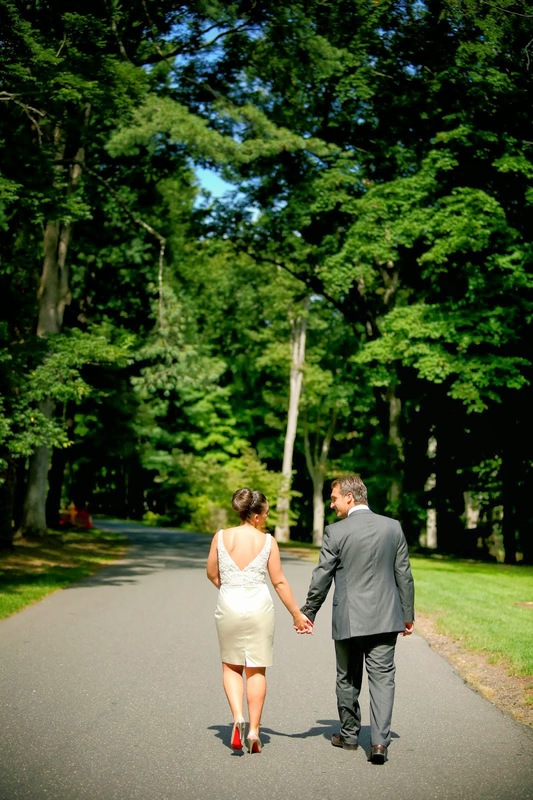 Alessandra and Mario take a stroll down the drive to find an intimate spot for pictures. Great time of year for cocktails on the patio! Food: When we think of September in Connecticut we can't help but think of farmer's markets and the wonderful bounty of vegetables available to our Caterers. "Farm to Table" are the buzz words that have us thinking of plump ripe tomatoes plucked from the vine just hours before being served as part of a fresh crudité. Not quite ready for Fall? No problem! How does a raw bar sound? Color: Have you decided on your color theme yet? What do you think about Navy Blue? Blush Pink? How about Apple Green? or Bright Yellow? Anything goes in September when you can take advantage of Mother Nature's inability to make up her mind about the season. You choose the color, you decide! We love the navy with orange accents! 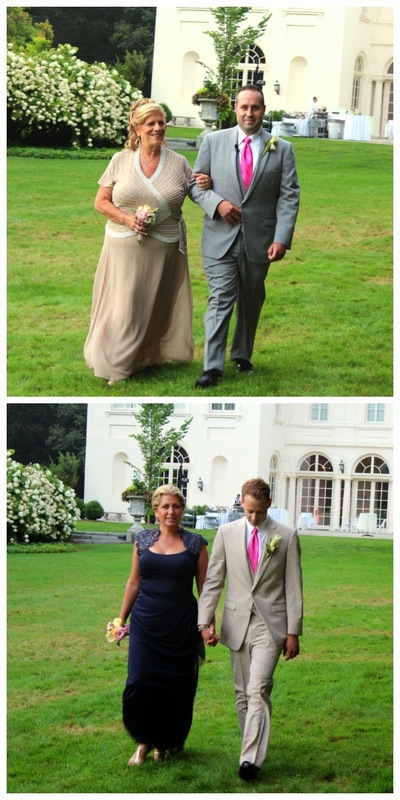 Our grooms sparkle with their fuschia ties! And speaking of color, our heirloom hydrangea will create the most beautiful framing of your ceremony and cocktail hour as the blooms begin their transformation from whitest white to dusky pink. 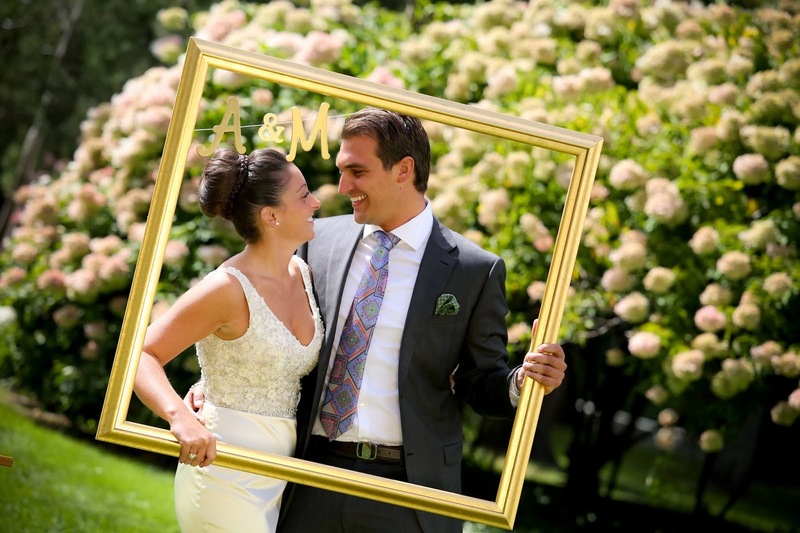 So if you are dreaming of Marrying at the Mansion, dream big, and dream September!